I love it when the Ink It! Stamp It! design team blog hops with a technique becuase it pushes me to try new ones, or perfect others. I've long struggled with water colouring. 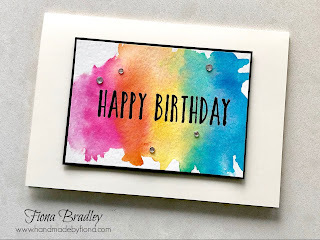 I can do basics, and I mean, BASIC basics, but I want to get better because there are some breathtakingly gorgeous cards out there where people have used water colouring. So I got to work practicing, and practicing and then I realised, I can do it! It just takes time to get to know how the paper reacts to the water and the ink and that watercolour paper can take a lot more water than I ever realised! So with that, I bring you my super colourful watercolour birthday card! I absolutely love how the water runs over the page bringing the ink with it and slightly mixing the ink of one colour with the next. And hey, you can do it too! Follow my instructions on this week's Tuesday Tutorial where I made one live. See? Not hard at all! Give it a go. 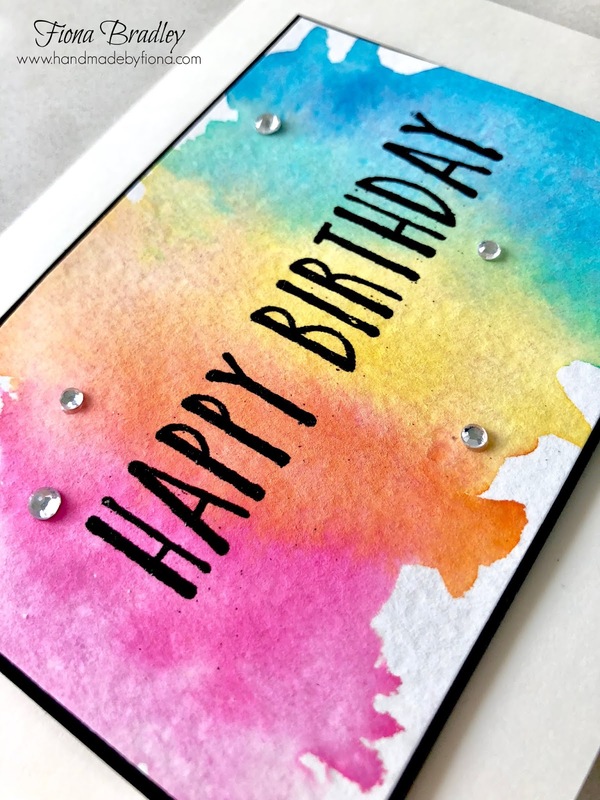 Below is everything you need to make a card like mine, but you can change things up and easily have different colour inks, and a sentiment of your choice. 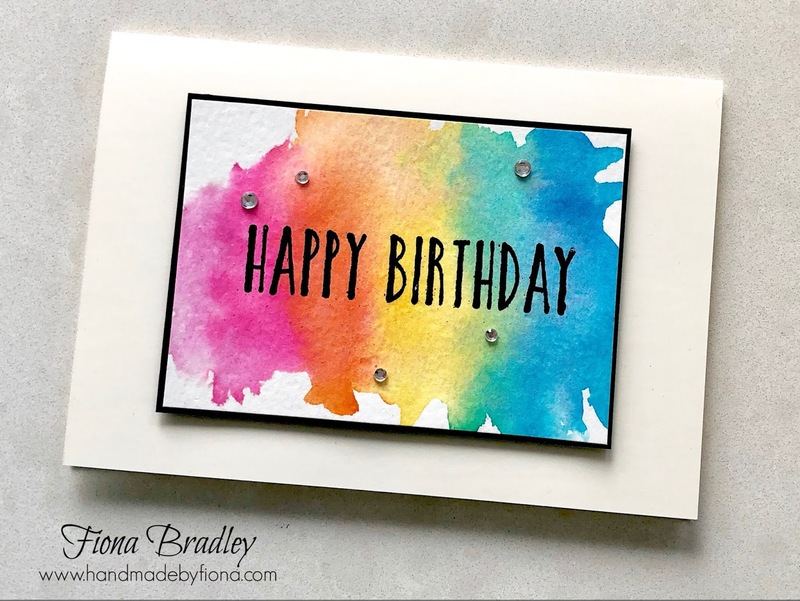 But first, take a look at everyone else's cards in the blog hop and see what techniques they are showing off.